COMBINED they represent over 300 years of knowledge; women who in their own right have made their mark in photojournalism. With stoicism and pride, they have traveled deep and wide, to all corners of the world. These women have photographed the human condition, while working on diverse and complex stories in the harshest of conditions. From the start of their careers they felt that no part of the planet was beyond their reach and there was no assignment they couldn’t handle regardless of the danger, close calls, or how near they found themselves to death. Photojournalism requires incredible mental and physical strength to navigate fast-moving situations. One needs to be almost warrior-like on all fronts! Those with relentless commitment and smarts stand out and have made an indelible mark on their profession. This list includes Karen Kasmauski a longtime photographer for the National Geographic who has done dozens stories for them, Carol Guzy, the only journalist in history to win four Pulitzer Prizes, and Jane Evelyn Atwood, the first W. Eugene Smith grant recipient. This is a generation of women who joined the workforce through small newspaper photo departments, local wire or agency bureaus in the 1970s, 1980s and 1990s. They paid their dues on the street with grinding daily assignments. They worked tirelessly to hone their skills when the industry was predominantly male. They then went on to higher profile assignments in magazines, larger legacy newspapers or photo agencies. The women on this list are recipients of the industry’s highest accolades, awards, grants and fellowships, way too many to mention. Women always had a voice, and it’s shown through their work. I don’t like to be called a “female photographer”. 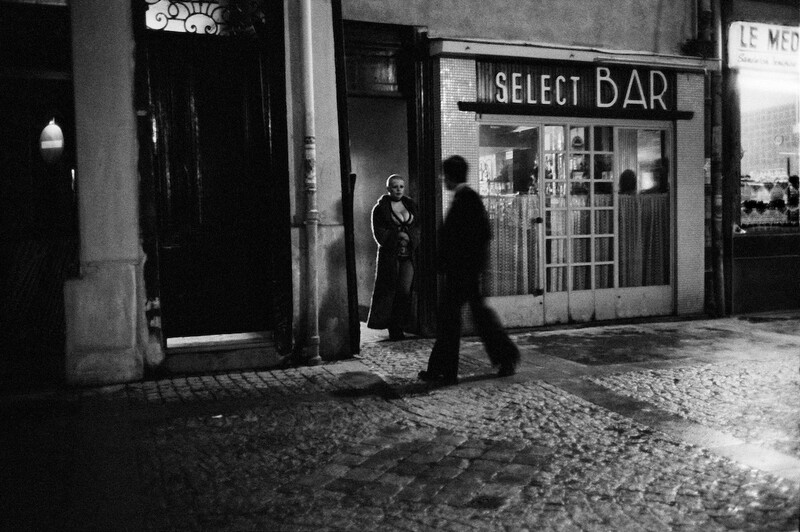 We don’t refer to Salgado or Cartier-Bresson as “male photographers”. I feel that calling us “female photographers” perpetuates the idea that we are “lesser than”, in some way. It defines us by gender rather than by the quality of our pictures. The term “female photographer” is sexist. Someone starting out in photography must have something to say. Then she must work like crazy for at least fifteen years to create a body of work that is her’s and her’s alone. Jane Evelyn Atwood has been a photojournalist for 41 years. Photo: Paula Bronstein/Getty. 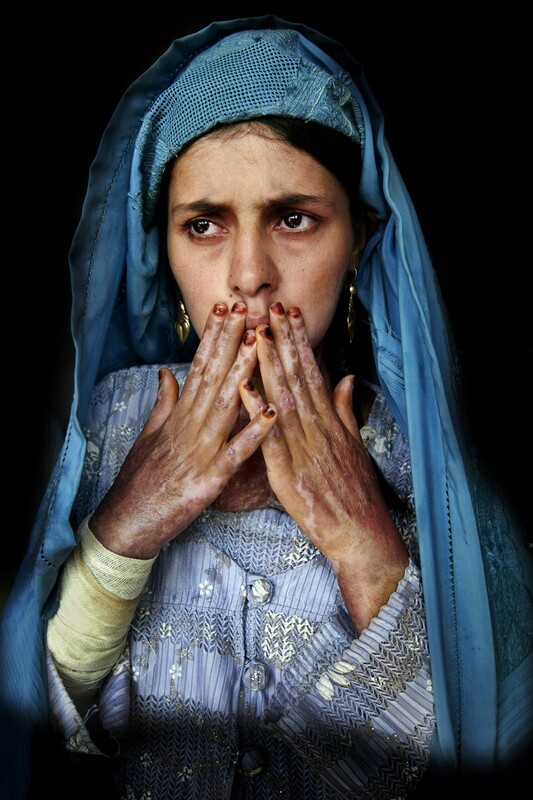 Masooma,18, has severe burns on 70% of her body from self-immolation. Forced marriages, domestic violence, poverty and lack of access to education are the main reasons for women attempting suicide, 2004. Resilience! I love the description in the dictionary “the capacity to recover quickly from difficulties; toughness: the often remarkable resilience of so many.” Over the years of working in difficult places like Afghanistan I have found that I needed resilience more than anything else. I needed to have the drive and enthusiasm to tell myself that I couldn’t fail. Gaining access is vital to your story, often when the door slams in your face you need to find a way to open it again eventually getting the images that tell the intimate and sensitive stories. Paula Bronstein has been a photojournalist for 33 years. Follow her work on Twitter and Instagram. Photo: Mary F. Calvert. Paula Anderson was drugged and raped by a fellow soldier while in the US Army. Her career lasted six years but her military sexual trauma has followed her for 20 years. After spending 17 months in jail, she has been homeless since February 2015 . 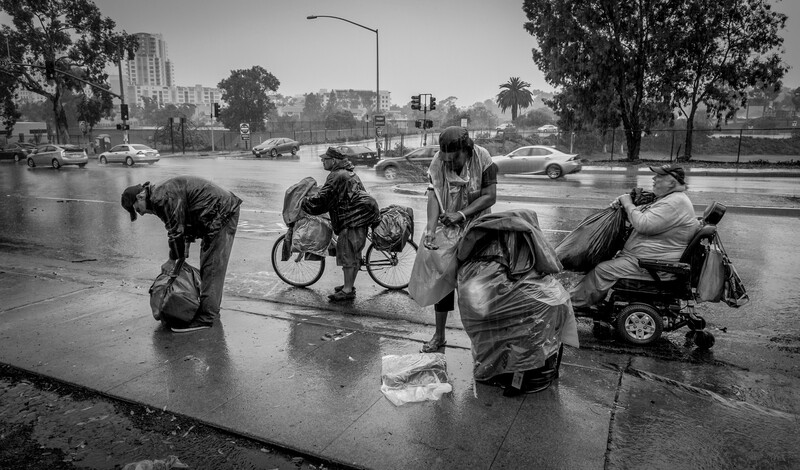 With plastic trash bags to keep her and her belongings dry, she leaves a homeless veterans event in the pouring rain. Years ago a bartender friend of mine introduced me to a member of the White House Press Corps, a seasoned, gruff photojournalist whose name I will not mention. She told him that I wanted to be a photographer and did he have any advice for me? He took a drink of his scotch and asked me if I liked Chinese food. I said “yes!” He said, “Do you know those meat cleavers they use?” I stammered “yeah?” Then he pantomimed one of those cleavers chopping off my shutter finger, “that’s the best advice I can give you” and he turned back to his drink. Thankfully, I never let his attitude keep me from becoming a photojournalist. This is a very tough business and there are lots of easier ways to make a living but few are as rewarding and meaningful. Mary F. Calvert has been a photojournalist for 30 years. Find her on Twitter and Instagram. You will give up a lot in your personal life to pursue other peoples’ lives and stories. Remember your stories are about them, but do not lose yourself in the process. Trust your own instincts. Decisions that come from your gut often are the best ones whether navigating a conflict situation or shooting a portrait. Find and follow subjects that you are passionate about and trust that will take you to exactly where you are meant to be. You will find your unique visual voice that sets you apart from everyone else once you stop trying to be everyone else. Ruth Fremsom has been a photojournalist for 29 years. Follow her activities on Twitter and Instagram. Photo: Carol Guzy. 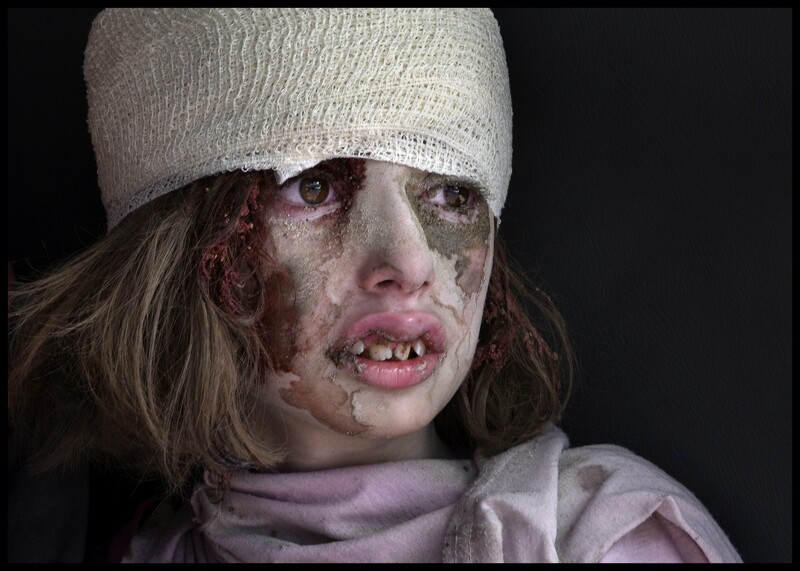 An injured girl arrives at a medical Trauma Stabilization Point near the front line in the Old City as civilians, many wounded and weak, flee the fierce battle with ISIS in West Mosul Iraq amid ruins and shattered lives, 2017. Empathy! It’s about the narrative of others. Gaining trust takes time. Content and moments reach viewers viscerally. Taken with compassion, pictures can speak volumes. My greatest riches are the relationships that remain long after the camera is put down. 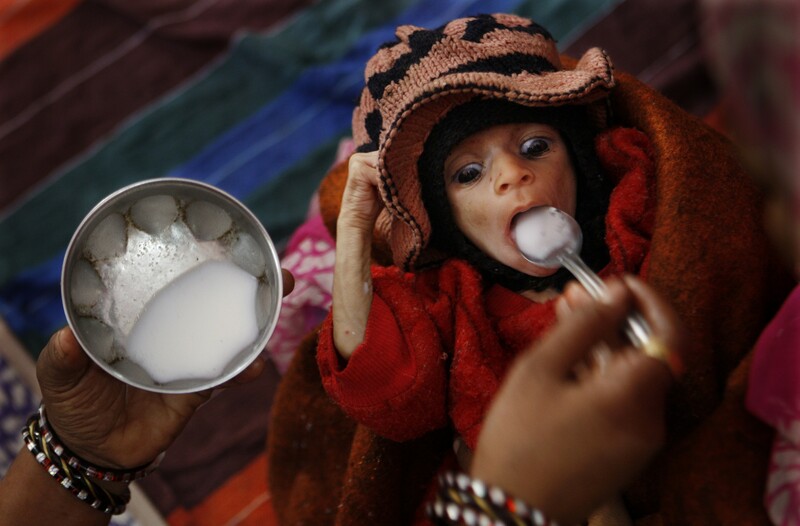 Hopefully the pendulum of quick hit photojournalism will swing back to depth of quality instead of quantity of web hits. Anticipate surprises. Turn around. Sometimes the reflection is most compelling. We are challenged to examine issues and also find poetry in everyday lives. Each image adds a piece to the puzzle of the intricacies of our world. As storytellers, we “write” with light. Follow your instincts. Risk for what matters. Immerse yourself in the photo world — internships, workshops and lectures. Chat with photographers whose work and humanity you admire. Don’t just shine the light on those forgotten in the shadows of despair — be a light. Carol Guzy has been a photojournalist for 37 years. Follow her on Instagram and Facebook. Photo: Karen Kasmauski. People in Japan climb their sacred Mountain Fuji all night in order to see the sun rise at the top. 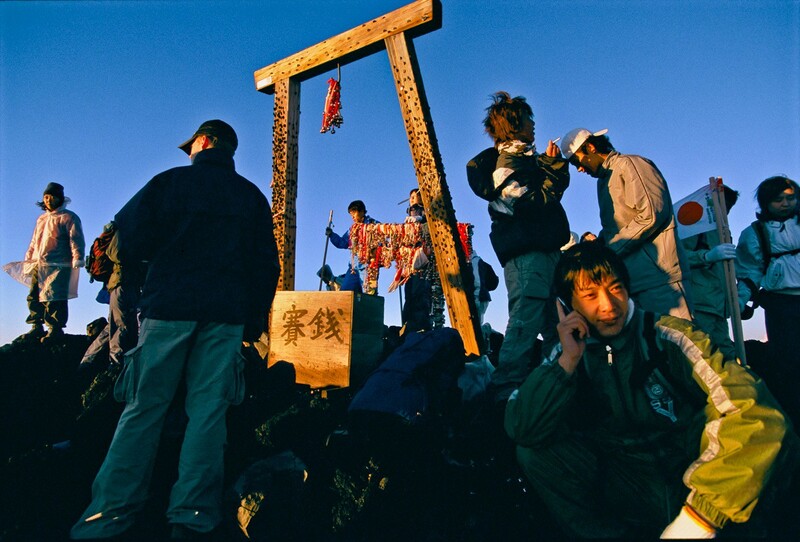 Taken in the early 90’s when cell phones where just starting to take off, many of the young Japanese climbers once they reached the top, did what so many folks do today, instead of experiencing the moment, they call someone to say they are now sitting on top of Mt. Fuji, while taking a cigarette break. In this world where over 1.8 billion photographs are uploaded to the Internet every day, young photographers will need to find a way to distinguish themselves from the chaos. My advise, think very deeply as to why she wants to enter this profession. I hope she will not enter thinking she is going to change the world. There are more effective ways in which to do that. I hope she enters it because she has deep curiosity about everything in this world and with that a great passion for life, feeling deeply for family, neighbors, community, cooking, hiking, anything really; so deep that she is willing to sacrifice for it. With this passion and curiosity, let her be guided by a strong ethical code to help her through life. She should follow her interest and not set out on a path she thinks she needs to be on. Life will take her where she longs. I also hope she will have a supportive partner; it will make this journey less lonely. Karen Kasmauski has been a photojournalist for 37 years and a regular contributor to National Geographic for over 20 years. Follow Karen’s work on Vimeo, her blog and Instagram. Photo: Yunghi Kim/Contact Press Images. 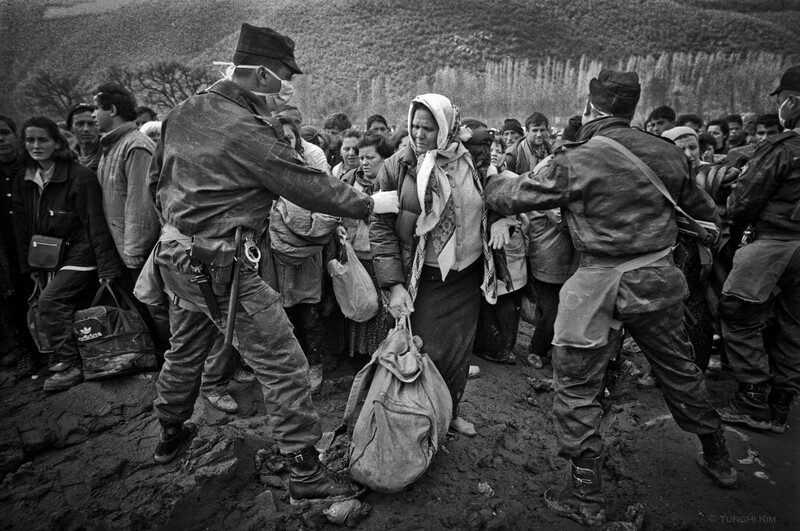 Kosovo War 1999; refugees amass no-mans land, Blace, Macedonia. It’s important to have good people around you, those who have your back. I feel blessed to have had great role models over the years. Courage, street smarts, discipline, commitment to the story, always growing the craft of visual story telling, are some of the important values I’ve learned. One regret I have is not thanking my mentors enough along the way. We are only as good as the pictures we take and the ethics we observe and internalizing the advice given to us. Freelancers are often in it alone, for them it’s even more important to form a tight support group with a few trusted photo friends for support; to bounce ideas, get feedback, help in licensing images and to network. Like every industry, there are jerks and if you are seeing too many jerks, it’s time to broaden your circle, and seek a new circle. Yunghi Kim has been a photojournalist for 33 years. Follow her on Facebook and Twitter. Photo: Heidi Levine/SIPA. injured Palestinian three year-old Sharif al-Namlah, is dressed by his grandfather, also named Sharif, after his bath at his home in Rafa, Gaza, 2015. Many photographers tend to feel pressured to get on a plane and travel halfway across the world to find compelling stories. But captivating, riveting stories can be found in our backyard if we open our eyes and hearts to see them. These are the stories that aren’t assigned but that we see as we leave our homes in the morning, or walk on the beach, or do our grocery shopping. These are the stories for which the most important skill is compassion and respect for the dignity of the subject. Building trust with those you want to photograph is a tool even more crucial than the type of lens or camera you use. 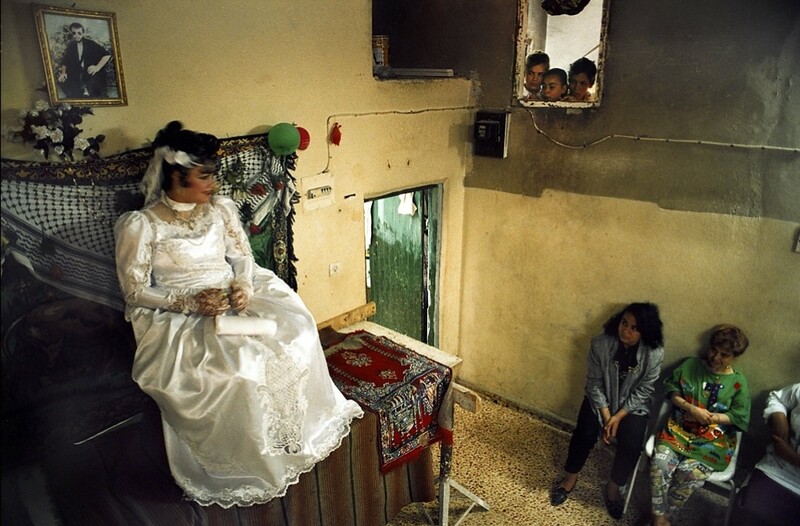 Heidi Levine has been a photojournalist for 25 years. Follow her work on Twitter and Instagram. Photo: Joanna Pinneo/Aurora Photos. Rahima, around 32, her 9-year-old daughter Minara and one-year old daughter Sakehna barely eke out a living begging on the busy streets of Bangladesh. Rahima and her 9-year-old daughter Minara giggle together and their close bond is evident. Mother and a daughter are forced to make a living in the best and most respectable way they can. Their goal is to bring home between $1.25 — $1.90 a day. Their makeshift shack in one of the city’s major slums costs about $15 a month, 2013. Joanna Pinneo has been a photojournalist for 36 years and a regular contributor to National Geographic for over a decade. Follow her work on Facebook, Instagram and Twitter. In the field being a woman is a huge advantage but not in the workplace. In conflict zones, fighters don’t perceive us as a threat and we can charm our way through security cordons. We also have an exclusive access to the private sphere of women. But things toughen up in the workplace. Editors can be dismissive, male peers can elbow us out. My answer: stay away from the pack and get a unique angle. It’s a hit or miss but then you only miss out on a picture everybody else has. Maya Vidon-White has been a photojournalist for 26 years. Follow her work on Twitter and Instagram. Concept by Yunghi Kim. Big thanks to Jeffrey D. Smith, Director of Contact Press Images, Kenneth Jarecke and Natalie Behring for the edit. Connect with Women Photojournalists 80’s and 90s on Facebook. Copyright of each image belongs to the photographer. All rights reserved.